Setting up a wireless network gives you the freedom from wires and cables that bind you to a single room within your home. Your device as well as many other devices within the house can connect to Internet simultaneously to a wireless network. If you too have got yourself a router, setting up a home wireless network is an easy task. Let us share with you some tips for setting up a wireless network. Don’t think just getting a router will do the trick for setting up a wireless network. The first and foremost task is selecting the right router for your home. Let us start with first things first and end up helping you set up a wireless network. The most important part of a wireless network is the router. Most routers today are home network ready. Choose routers with WPA2 encryption as it will make sure your network remains secure. Do not choose a WEP encryption router, as they are outdated. Once you connect your router to a switch, it is time to unplug the modem’s Ethernet cable from the PC and connect it with the Internet port on your router. Power on the router as well as modem and wait for a couple of minutes. With the help of another Ethernet cable, connect the PC to your router’s LAN port. Switch on your PC. Most routers today are designed to automatically assign an IP address to the computer. If you have connected all the wires properly, you will find yourself online without any hassle. 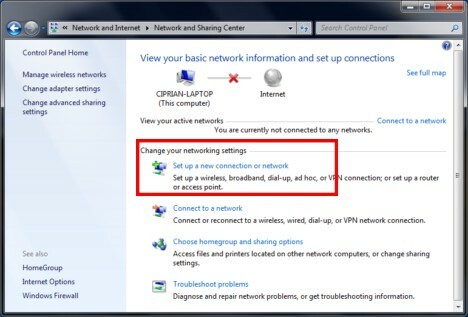 Now, once the router and computer are connected, you need to open a web browser and enter the default IP address of your router. You can check the booklet that comes with your router or look behind your router device. Most manufactures print the IP address for the router along with the login username and password on the device itself. Once you login into the administration page of the router, you need to change the default password of the router. Many people tend to skip this step, but it is wise to change the password. It will make access to your network more secure and keep away prying eyes from hacking into your router. Check if your router is functioning on the latest firmware. A firmware update by the manufacture will ensure your router is up-to-date against potential issues that you may never even dream about. It is important to give your network a personalized name. This personalized name is called as an SSID. Chose something with an edge that gives your network a unique identity. This is not a password; it is a name for your home wireless network. So, make it short and smart. A password is the most important aspect of keep your wireless network secured and away from unwanted guests. It also helps keep away hackers from evesdropping on your Internet activity. You need to select WPA or most preferably WPA2. In some routers it is called as WAP2-AES. Now, choose a password that is about 8 to 63 characters long. Make it complicated by mixing uppercase and lowercase letters, numbers as well as special characters. Do not use your name, your pets name or anything that is easy to guess. Now, make sure there is no other disturbance around your router like a cordless phone, microwave oven, etc. That’s it. You are all set to use your wireless network. Your Home Group will allow your to share your data with some or all network users. Whenever new device requests to connect with your wireless network, you need to enter the password you have saved for your SSID.